After a long period of cold weather in April, this month started in the second week with bright sunshine and temperatures above 24⁰ C (75⁰F). 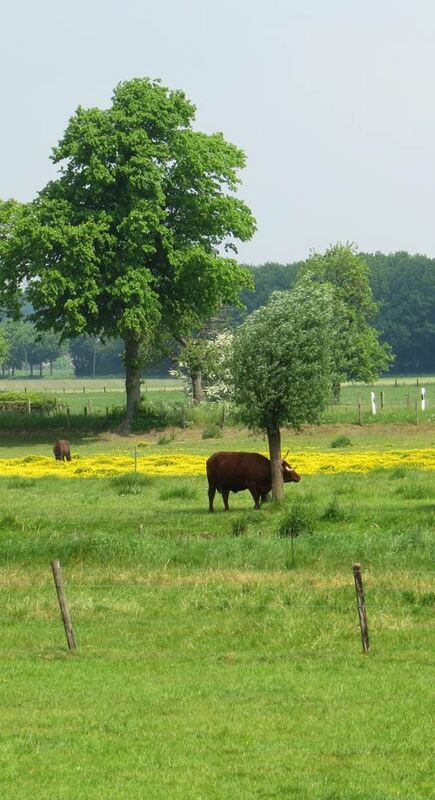 According to an old lady from over ninety who lives next door there is hardly any springtime nowadays. She told me that in the past temperatures were more gradually rising. Maybe she has right for in the last few years we have to water plants with drooping leaves during this extreme dry and hot period and could be signs of global warming. Plants react to this sudden change in temperature. Perennials finally are covering the bare soil and the Long Border finally getting more shape. 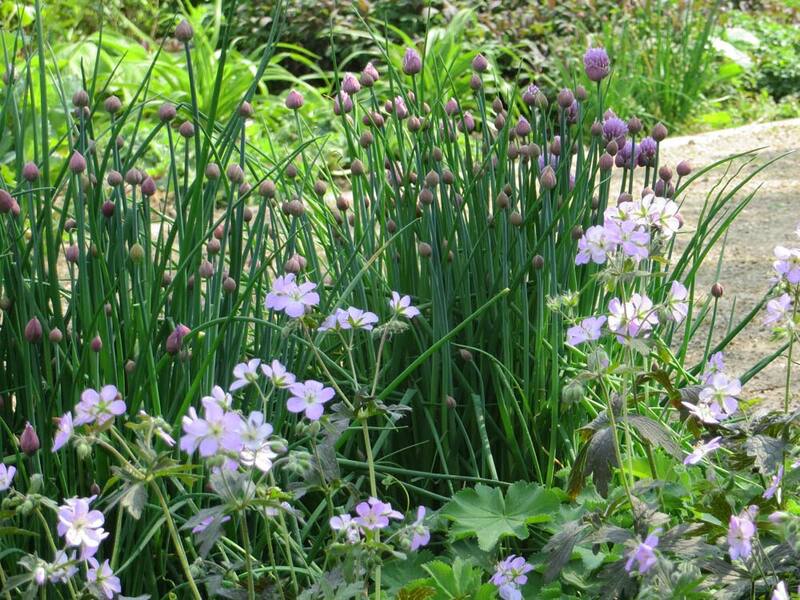 Some are already in flower and the mauve colours of the geraniums (Geranium hybrid ‘Melinda’ and Geranium maculatum ‘Elizabeth Ann’ are reflected by the slightly darker hues of the flower buds of chives (Allium schoenoprasum). 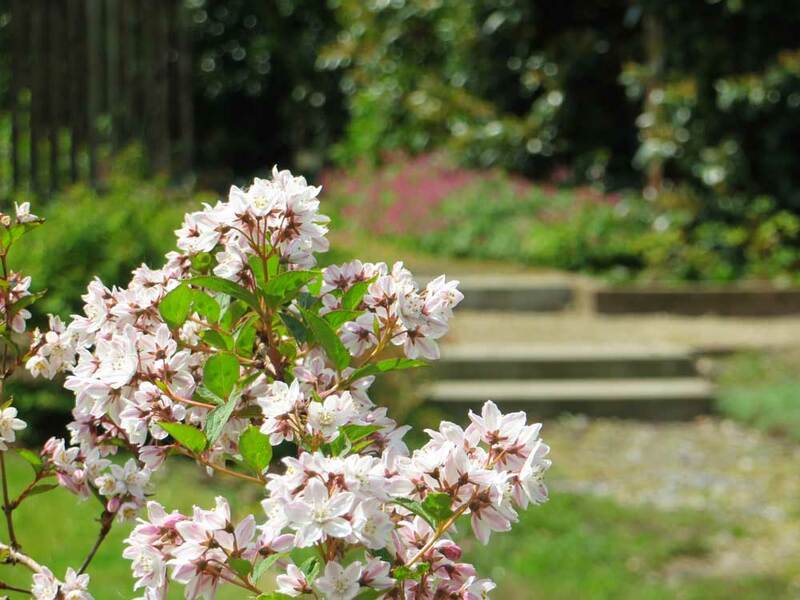 But spring is especially the time to see most of your shrubs packed with flowers. On this Pentecost weekend, I was strolling to the border of the American Garden. 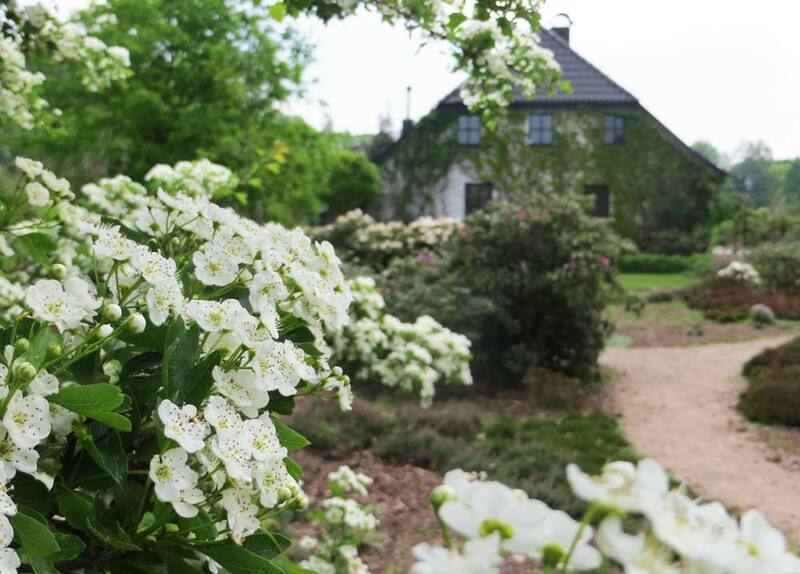 The overwhelming smell of Hawthorn is all around and its white flowers are reflected by the already declining flowers of Rhododendron ‘Cunningham’s White’. On my way back to the Tank Garden I come across a lovely flowering lilac (‘Syringa Meyeri Palibin’). Its “sister” Miss Kim (Syringa pubescens subsp. patula ‘Miss Kim’) in the Long Border is already showing her flower buds but it will take another week to enfold them. 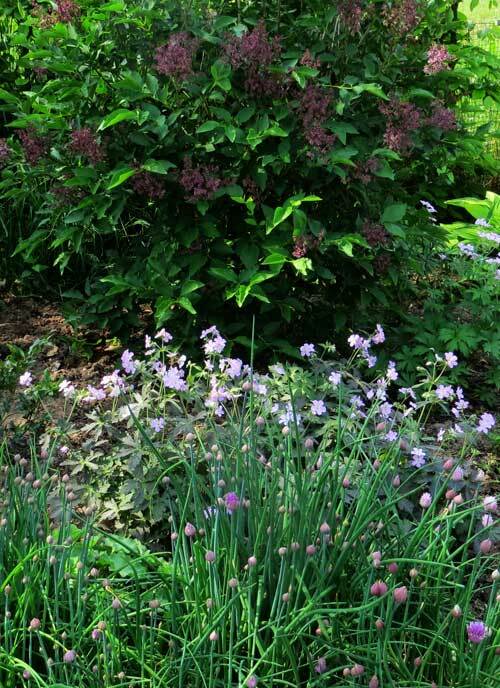 There are more shrubs which give the long border structure. 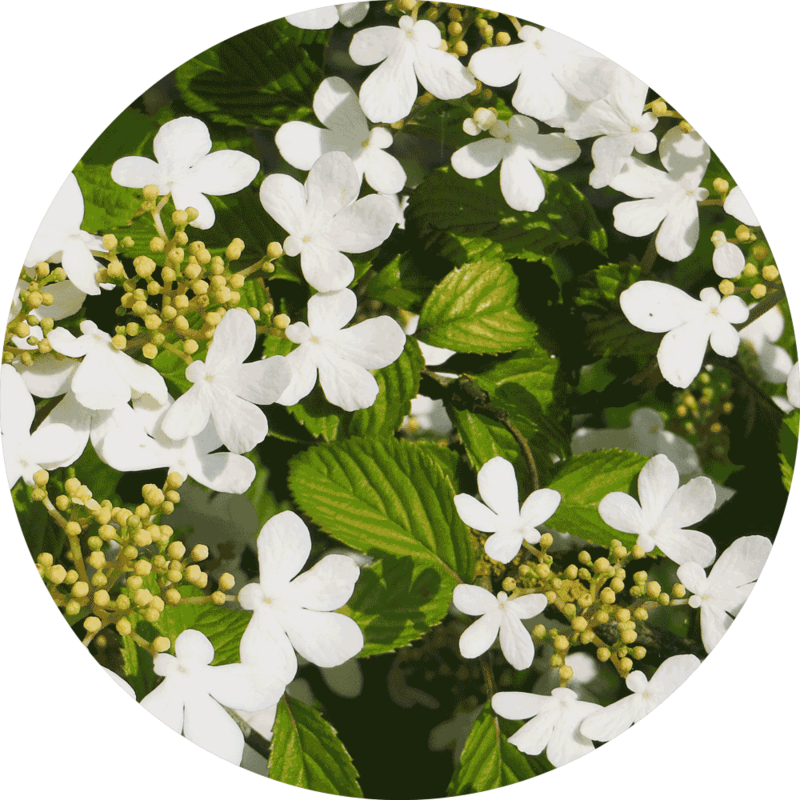 A 3 meter (10 feet) high double file viburnum is covered with creamy white flowers as if someone sprinkled it with icing sugar. 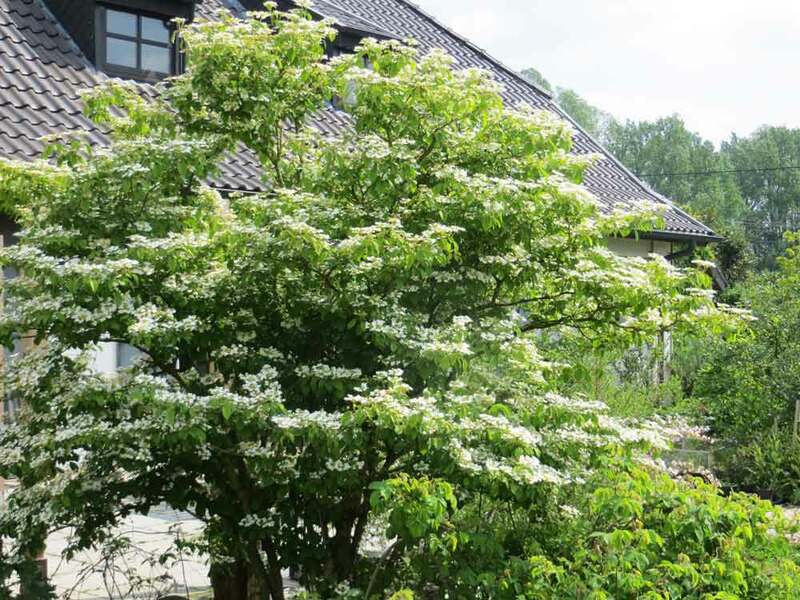 The late Marcel Teubner of Darthuizen nurseries in the Netherlands classified it as ‘Viburnum plicatum f. tomentosum ‘Watanabe’.